The Institute was founded in 1984 by David Quigley, one of today’s most respected and sought after authorities on Therapeutic Hypnosis. David’s groundbreaking career as a Master Hypnotist began in 1978 as he searched for a way out of chronic illness, severe depression and crippling suicidal thoughts. Everything changed when he began to tap into his “inner guides”, who with love and wisdom led him on a path of healing including freeing himself completely from severe rheumatoid arthritis. 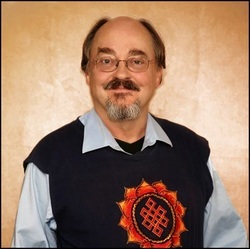 Once rooted in these teachings he began to pursue extensive graduate study in comparative religions, Gestalt, Primal, and Jungian psychotherapy as well as Ericksonian hypnosis, clinical hypnosis, and Neurolinguistic Programming. 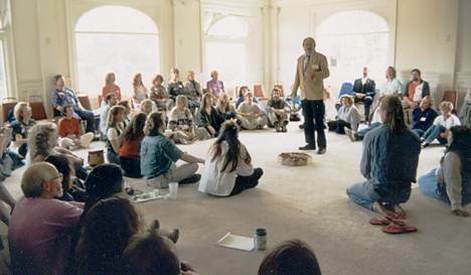 The synthesis of his inner experience and studies is now known as ALCHEMICAL HYPNOSIS, and is practiced by professional hypnotherapists and other successful healing practitioners around the world. Alchemical Hypnosis is about helping clients find the inner healing resources within the subconscious mind and teaching them to work with these powerful resources every day to solve their problems. The key to Alchemical Hypnosis lies in its ability to heal our deepest wounds and unlike other forms of hypnosis, it works with all aspects of our being: physical, emotional, mental and spiritual. Alchemical Hypnosis does not render you unconscious, rather it enables you to explore your inner world and through the gentle guidance of the hypnotist provides intense and lasting release from adverse physical and emotional conditions. 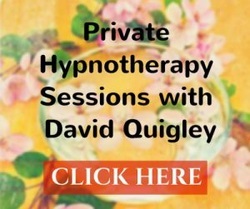 David offers private Hypnosis sessions in his Santa Rosa office as well as over the phone. Find out more about what it's like to work with him and experience the power of Alchemical Hypnosis first hand. The Alchemy Institute of Hypnosis offers a comprehensive selection of educational programs and life transforming personal Hypnosis Sessions. The educational programs range from full training for persons wishing to engage in a career as a professional Consulting Hypnotist or Hypnotherapist, exciting and life enriching workshops and intensives, and classes for therapists and medical practitioners looking to add depth to their practice. Graduates of our programs have thriving practices around the world. 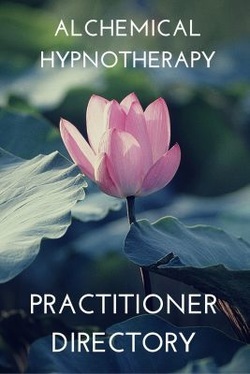 Click on our Practitioner Directory to find a trained and certified practitioner of Alchemical Hypnosis, Alchemical Hypnotherapy, or Somatic Healing.